During the past week, President Donald Trump made a passing comment that the US would soon leave Syria. Apparently, this not only caught the military by surprise, but came with their objections. No one ever knows what Trump’s tweets and comments might actually mean, but the suggestion calls for another look at the Syrian Civil War. Sadly, many Americans have lost interest in the seven-year old conflict that continues to be one of the bloodiest and worst in recent history. Nearly half a million people have been killed. Most of the citizens who fled Syria no longer have any hope of returning. President Obama made a costly mistake when he pulled US forces back and didn’t follow up on the red line proclamation demanding Syria not use chemical weapons on its citizens which they did. Russia promptly filled the gap and has been escalating tensions with the US ever since (Remember the Crimea grab & the Ukrainian struggle?) When the US backed off in Syria, Russia brought in thousands of troops, fighter planes, and bombers that rescued Assad and his regime from total collapse. Currently, Assad survives because of Russian intervention. Iran became even more forceful in their incursions in Syria. The only good accomplishment has been the defeat of the ISIS presence, although ISIS has popped up in other countries. One of the costliest battlefields has been in and around Damascus. I have walked through the streets of this ancient city, including the old city with its street called Straight. I even visited the sight where the Apostle Paul received healing of his blindness when he came to attack Christians (Acts 9:10-18). Today these streets are filled with the debris of war. Behind the scenes, Israelis have continued attacking in Syria. Major General Amir Eshel stated Israel had attacked Syrian military targets 100 times since the war began. Iran’s Quds Force and Hezbollah planned guerrilla cells and attacks that would have challenged Israel on two fronts. However, Israel jets attacked and killed cell leaders, including the son of Hezbollah operations chief. The diabolical plot was destroyed. Israeli targets depends on current circumstances. In mid-February, an Israeli F-16 jet shot down an Iranian drone inside Syria and came under heavy Syrian fire. In turn, the F-16 was hit by Syrian fire and crashed in Northern Israel after the two pilots ejected. In turn, Israel unleashed a wave of strikes against Syrian and Iranian targets inside Syria. 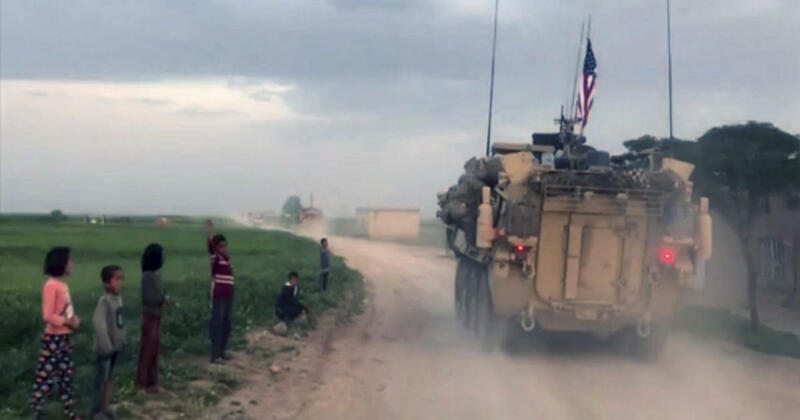 To put it another way, the US military presence remains important in the Syrian struggle, even if now somewhat marginalized. To pull out is anything but in the interest of Israel and in the long run America. Syria remains a key link in Iran’s drive to build a Shi’ite crescent across the heart of the Middle East, linking Iran to Iraq to Syria to Lebanon and giving them a foothold on the Mediterranean. Iran definitely has long-term strategic aims and isn’t about to give them up. The completion of this maneuver sets the stage for a potential war between Iran and Israel. Get the picture? Serious business! President Trump must not deal with the Syrian situation like declaring a Boardwalk Casino bankrupt. The lives of millions of people are at stake. If Israel is forced to go it alone, every sign indicates they will. And they have the BOMB to do it. Not a good picture.